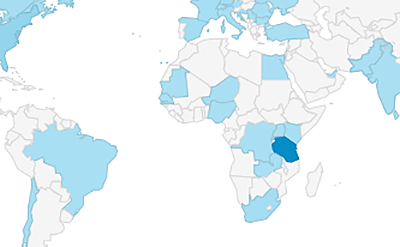 Is your targeted audience educated, well-read citizens of Dar es Salaam? Up to 71 percent of our total readership checks Dar Post from within Tanzania. Almost all of those readers speak English fluently and nearly 62 percent of Tanzanian site visits come from within Dar es Salaam city limits. Dar Post is new, but we’re already getting over 7000 unique visitors per month and growing fast! In March 2017, our top banner ad space received over 31000 views. Let us know if you’re interested in traditional web advertising, some creative in-line stories, or even promoting your business through our traffic cameras. Be the first to comment on "Sales"